I finished 2 mug rugs last week and another 2 I still need to finish the binding. Though it's not making a dent in my UFO quilts piles, but I am happy that I am making (very) slow progress. Since the blocks are quite colorful, I decided to use white thread and did the organic wavy lines. One thing I learn that to be creative, it really doesn't matter what machine you have. We should not limit ourselves based on what tools we have on hand, instead the limitation should make us more creative! When I took this picture, my son was about to have his breakfast and I borrowed the bowl for a quick photo session :D. Don't you love the back of the mug rug? 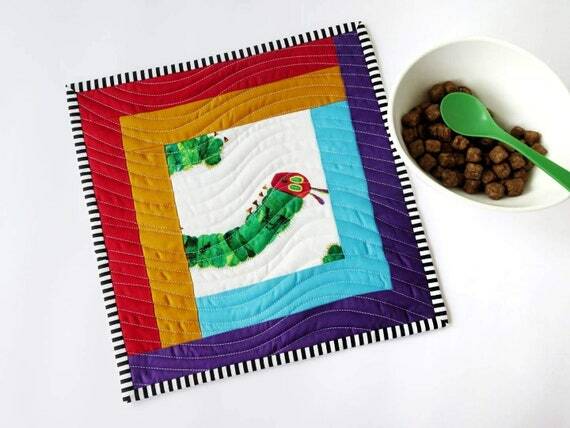 It makes this quilted mug rug reversible!! As usual when I am not sure what to use for binding, the black and white stripe is always my first preference. And I love how modern it looked! The binding is machine stitched on one side and finished by hand on the back. 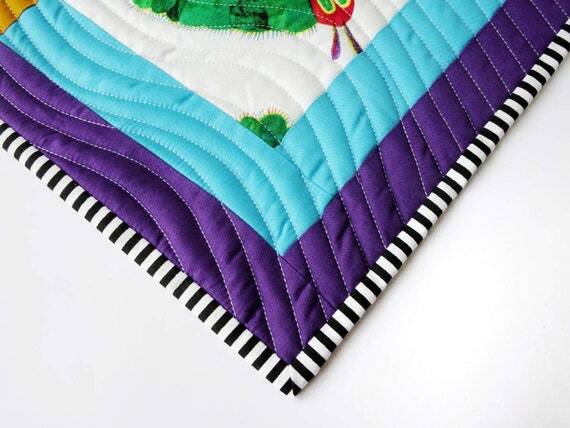 I always use 1.5" wide binding for mini quilts, like placemats, mug rugs, or coasters. 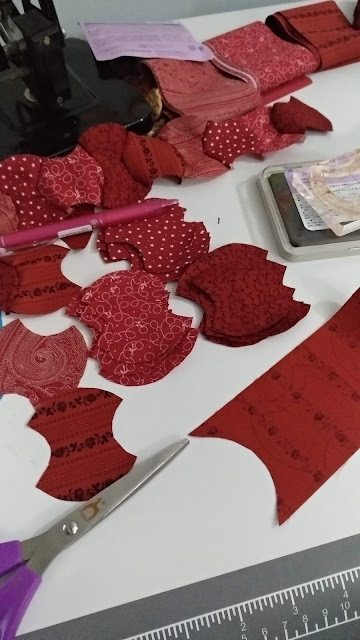 Also, more mini quilts are queing to be quilted now. I have so many projects going on at the same time. I tried to stick on one project at a time but somehow never work out for me. But as long as I can be creative, I'm happy! What about you? What project are you working on right now?